Since Microsoft’s end of war with Google, the company has been working on a Chromium-based Edge browser. The upcoming browser was leaked online on beta sharing forums over the weekend. An early copy of what we may soon see being released to Windows Insiders, Chromium-based Microsoft Edge apparently works flawlessly on Windows 7, as well. The new version brings the ability to use Chrome extensions from the Chrome web store along with some changes to the user interface. While several users have tried this leaked Microsoft Edge browser on Windows 10, Windows 7 users will be happy to know that they too can try out the new browser from Microsoft. Microsoft’s Edge browser has never received this much attention. There’s always Chrome, Firefox, Safari, and even Internet Explorer that come ahead in the game of popularity. But since the company’s decision of working with the open-source Chromium engine, Edge has suddenly become the new hot browser that everyone is talking about. Microsoft Edge version 75.0.109.0 is now available for download on this site and this one (download at your own risk). You can try it out on Windows 10 and even Windows 7. 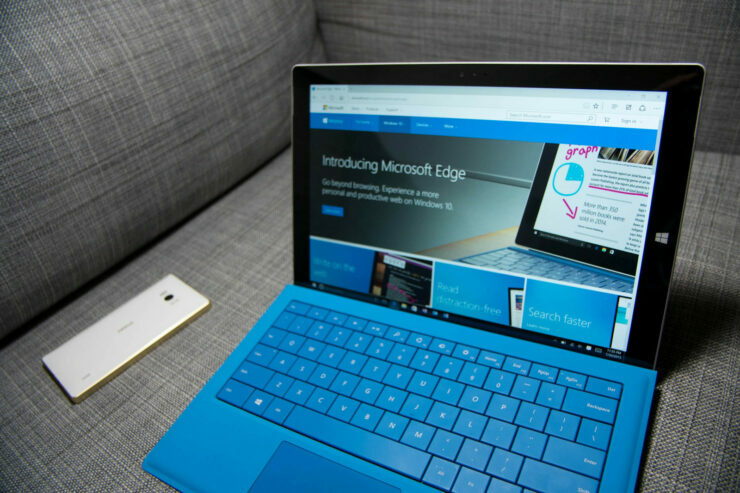 Once ready for the public, Microsoft Edge will be rolled out to users on Windows 10, macOS, and mobile operating systems. Folks at MSPU confirm that the leaked Edge is working perfectly on Windows 7 except for a black bar. – We would, however, advise our readers to wait for the public release since downloading from unknown sources isn’t recommended.